Description: On this week's show Victor speaks with Aaron Armstrong, Owner and Robert Main, General Manager of BEACH 1 VACATIONS. Premier Vacation Rentals for that dream vacation at the World's Longest Freshwater Beach. MORE than JUST accommodations! Share this show with friends, family and/or clients to direct them to Beach1 Vacations. The Power of POSITIVE! BEACH BUSINESS SPEAKS on Beach BOOSTER Radio, Wasaga Beach's only truly LOCAL radio can be enjoyed ON DEMAND on any device from our Podcast Page! Photo: Aaron Armstrong & Robert Main of Beach 1 Vacations. On this week's show Victor speaks with Aaron Armstrong, Owner and Robert Main, General Manager of BEACH 1 VACATIONS. Premier Vacation Rentals for that dream vacation at the World's Longest Freshwater Beach. MORE than JUST accommodations! Share this show with friends, family and/or clients to direct them to Beach1 Vacations. The Power of POSITIVE! 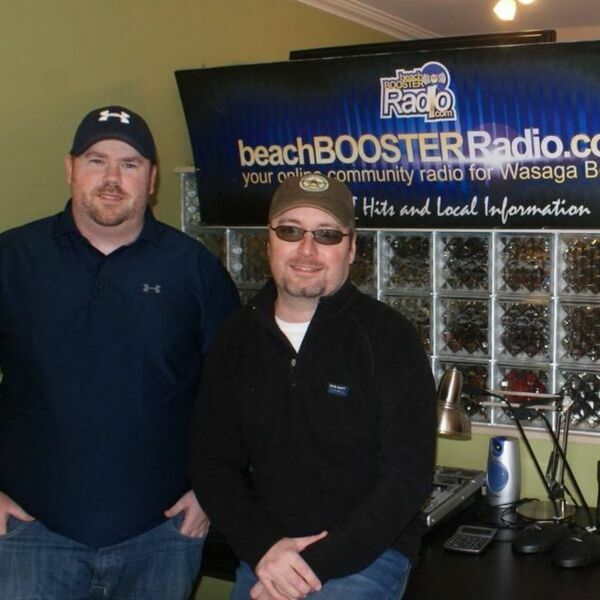 BEACH BUSINESS SPEAKS on Beach BOOSTER Radio, Wasaga Beach's only truly LOCAL radio can be enjoyed ON DEMAND on any device from our Podcast Page! Photo: Aaron Armstrong & Robert Main of Beach 1 Vacations.